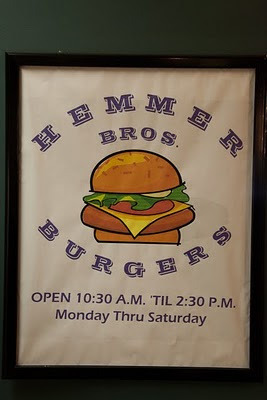 Hemmer Brothers Burgers in Sioux Falls, South Dakota is easy to drive by as it is placed inside an office building on bustling S. Phillips Avenue. But make sure you find it. They make a nice burger. I parked in the nearby garage and went inside. The décor is basic tables with red vinyl covers, faux plaster exposing faux bricks, but that isn’t why we come to a burger place is it? The brothers put all their creativity into the food and it shows. I ordered the Piggy Back Double Bacon Cheeseburger ($5.99). Hemmers’ grinds their own beef on site and in a little twist they grind in the bacon as well into each quarter pound patty. The single patty version is called the Squealer ($4.29). I ordered mine with American cheese. All the toppings and condiments are laid out fresh in the nearby condiment bar. I threw lettuce and onion under my bun, along with some mayo. The bun looks kind of crunchy on top, but in fact is fresh and soft. The first bite yields a sausage patty like effect, but I grew to like it more and more with each bite. The beef was juicy and flavorful. Fries are hand cut on site as well. They are medium cut, crisp and hot. They don’t sag limply like some fresh-cut fries. They have fresh squeezed lemonade. Don’t miss this spot if you are heading to Sioux Falls. 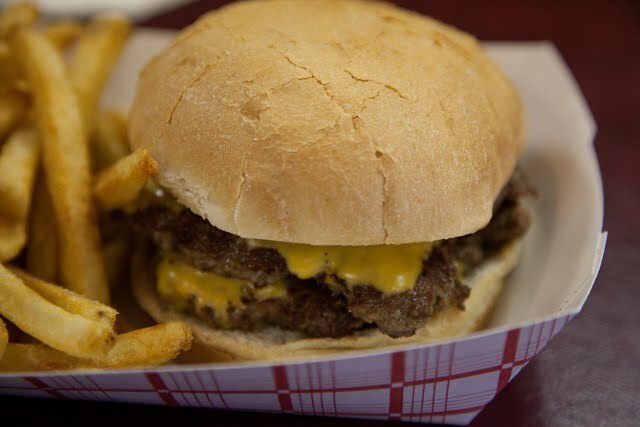 Or maybe even head there just to try these burgers. This place is long closed, if you ever come back and visit I would recommend Taphouse 41. Best burger in town, in my opinion. These were my favourite burgers! I used to be a member of writing elites and I went to different dinner places to work on my researches. Whenever you play videos for a long length of time, you should ensure you're keeping yourself hydrated. Video games can get someone away from reality, even to the point where they are forgetting to take care of their basic needs. Drink as much water as you can during the game to stay properly hydrated.